On March 30, 2016, about 1230 AM, officers from the Moreno Valley Police Department responded to the 13600 block of McDonnell Street, Moreno Valley, reference Ismael Preciado, an at risk missing adult. Upon arrival, officers learned Preciado has not been seen or heard from for several hours. It is believed Preciado walked away from the residence he shares with family sometime after 8:00 PM on Tuesday, March 29, 2016. A Riverside County Sheriff’s Department tracking dog assisted in the search of Preciado, and led officers to the area of Cactus Avenue and Joy Street where the scent was lost. 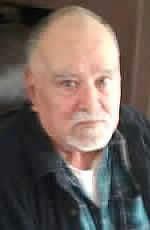 Preciado is described as a Hispanic male, 72 years old, 5’09” and 230 pounds. He has gray hair and brown eyes. He has high blood pressure and is possibly in the early stages of dementia. Anyone with information is encouraged to call the Moreno Valley Police Department at 951 486-6700.